Just a note: this is the tenth instalment, I hope you have been enjoying the posts, and I sincerely thank you for reading. Let’s go! 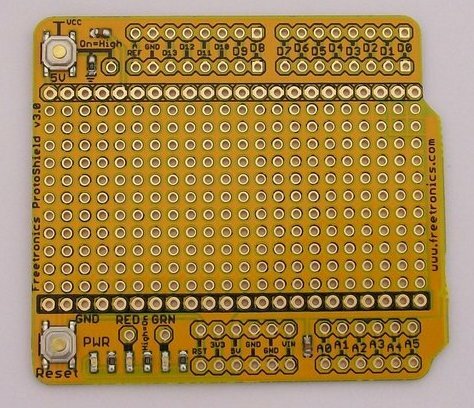 This week we will start looking at LED matrix displays, designing user interfaces, implementing a user interface for a clock, and finish up making an alarm clock. 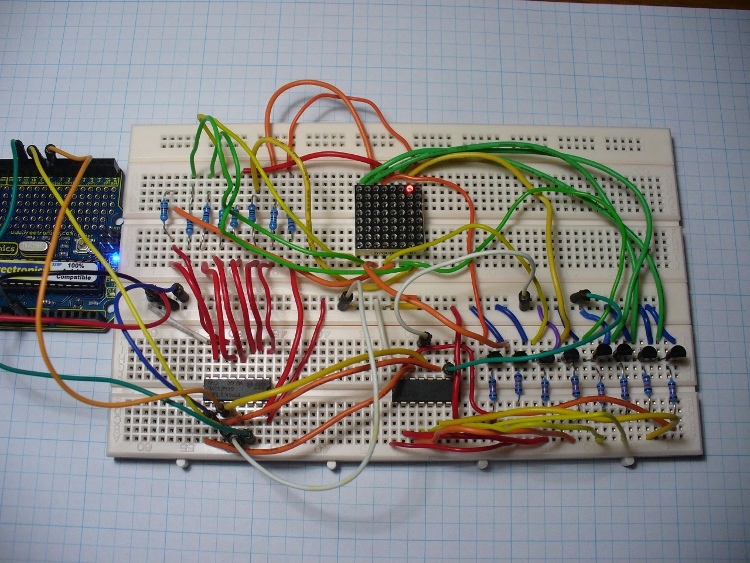 … to send the data to the shift registers. 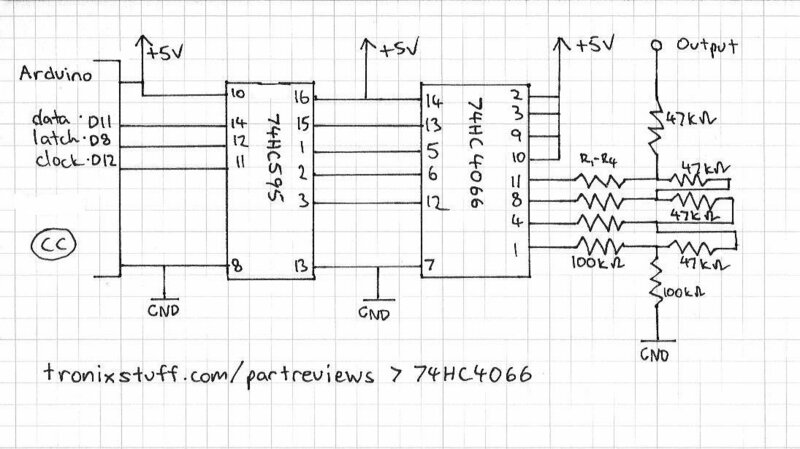 This example sketch for the above circuit should be pretty well self-explanatory if you have been following my tutorials: Example 9.1.pdf. Once again, quite mesmerising. Did you notice that the horizontal solid rows were dimmer than the solid vertical columns? 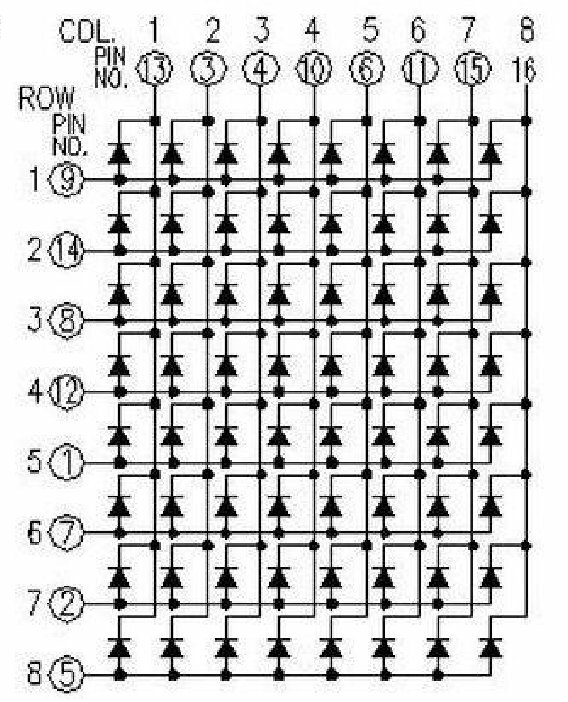 This is because when you light up one row, all eight LEDs are drawing current from one pin of the shift register – so there is less current for each LED; whereas in the column, each LED has its own source of current, so can therefore operate at full brightness. So a hint – when you are creating images or characters for your display, use scrolling columns to display the image. Experiment with the example 9.1 sketch, if you display only vertical columns, and make the delay zero – you can give the illusion that the entire display is on, but it is not. Which leads us into the first exercise for the week! Using the circuit described for example 9.1, create a character, shape, or whatever tickles your fancy, and animate it to move across the screen. To make it easier to calculate the byte values for the columns, I have placed a spreadsheet to use in our Google Group’s file section (matrix-ss.xls or .odt). Hint – To animate an image, you will need to map the matrix every time the image changes – just like a normal animation or cartoon. However, store all the values for the entire animation in one array, otherwise you will go bonkers. 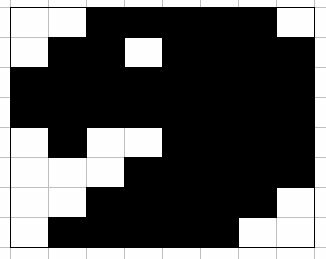 When you need to read the array, each matrix image can be read as they are multiples of eight (then add the reference to the value you want). and the corresponding exercise 9.1.pdf. How did you go? If you have an interesting animation, and you can do so – please email a link to Youtube, Vimeo, etc showing your creation – you could win a prize. Time to get a little more serious now. Over time you have been making things, some useful, some more experimental than anything. Hopefully you will reach the stage of designing something that has a real-world use and could be used by people other than yourself or your immediate circle of friends. In the next few weeks we will look at methods of transitioning projects from prototypes to standalone products you can develop! Simple, yet functional. It does what it is supposed to do with the minimum of fuss. (It’s German). And that is how our project user interfaces should be. As technical people it is very easy to get carried away and put buttons, lights, and all sorts of things together, but at the end of the day, less is more. 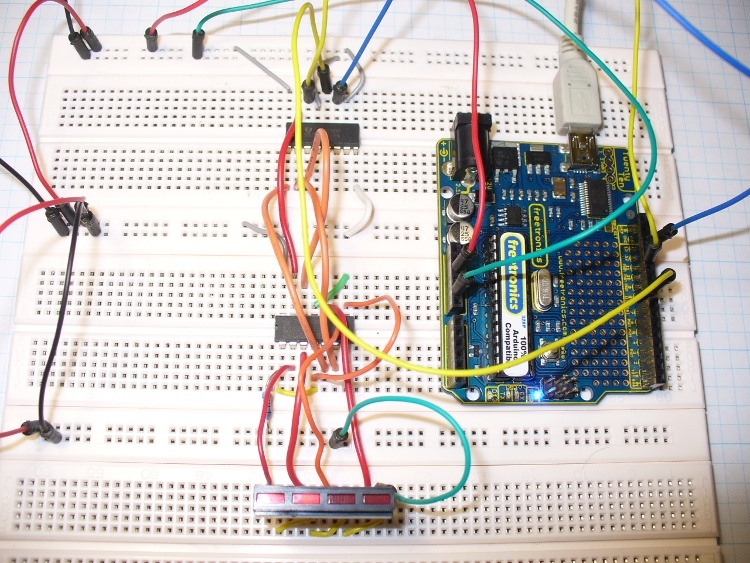 How can we emulate this with Arduino – but in a simple method? Looking at the face of the clock, it displays the time (hours, minutes, seconds) and the alarm time. We can use an LCD for that. On the top is the alarm off button. We can use a button for that. On the rear there are winders for the time and alarm spring – we have electricity for that. There are two knobs, one to adjust the time, and one to adjust the alarm – here we have several options. We could use up/down buttons… perhaps we could use a knob as well? And finally there is the gain control – we don’t need this as our DS1307 is infinitely more accurate. How can this be implemented? Let’s see. The clock will normally display the date, time, etc. If a button is pressed, it will switch to menu mode (on the right). A knob will be used to select one of the options listed on the right, when the required option is displayed, the user presses the button to select the option. Then the user can use the knob to adjust the variable for that option, and press the button to return to the menu. The last menu option is to return to the clock display. So we can control the whole lot with only one button and one knob. 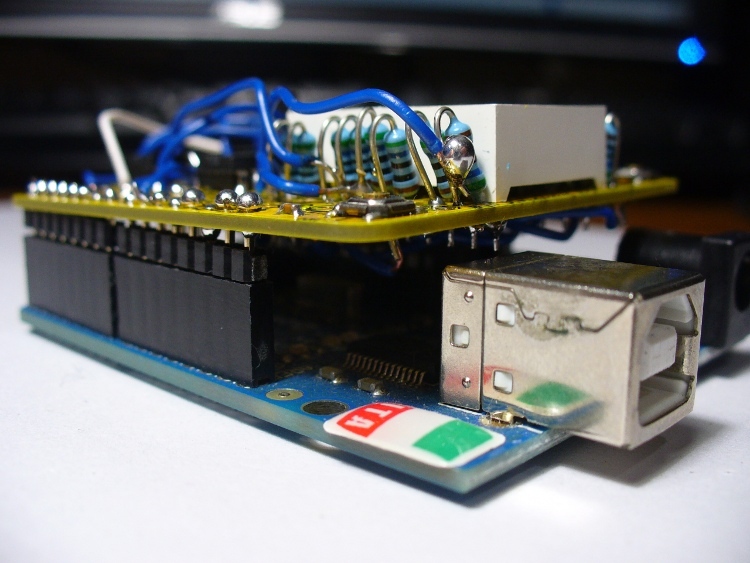 The button is easy with Arduino, and to save money we can use a potentiometer as a knob. Remember we did this in in exercise 6.2. Normally it can return a value between 0 and 1023, but with our clock we need it to return a value that falls within a variety of ranges – from 0 to 6 for day of the week, to 0 to 59 for the minute adjustment. Here is a short video of my interpretation in action. And the resulting sketch: exercise 9.2.pdf. The value rangemax that is fed into the function is the number of positions in the range you want to work with. For example, if I want the knob to return a value between zero and fifty-nine (sixty values in the range) I would set rangemax to 60. 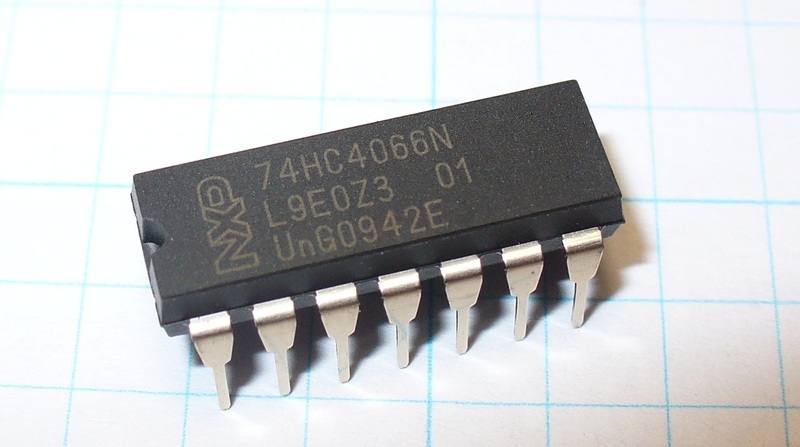 The value dialpin is the number of the analogue pin the potentiometer is connected to. 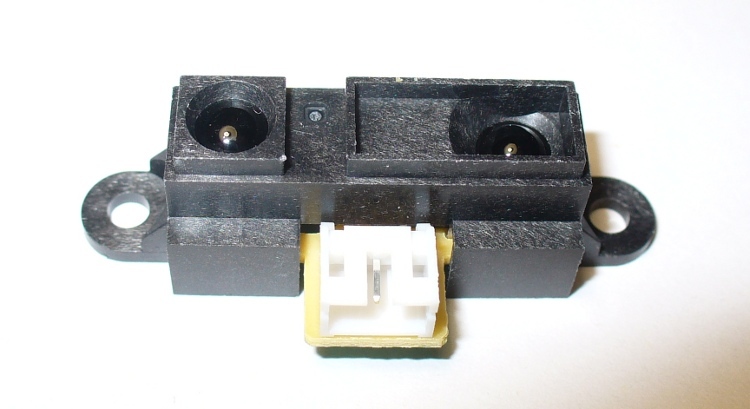 You should use a linear potentiometer to ensure a nice smooth adjustment. Great – now we have a way of reading our knob and customising the result for our range requirements. 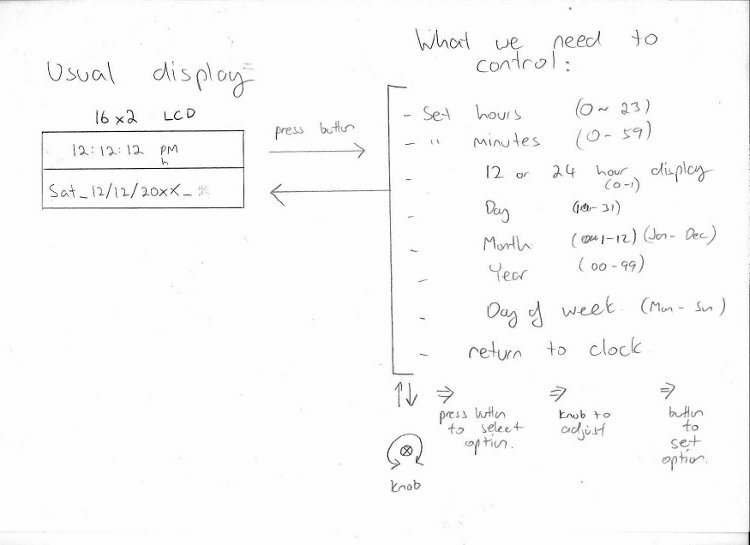 Our clock example’s menu will require eight options, each with their own function (e.g. set hours, set minutes, set year, return to clock, etc). We have one button, so you could use that to trigger an interrupt to start the menu display (interrupts were covered in chapter three). 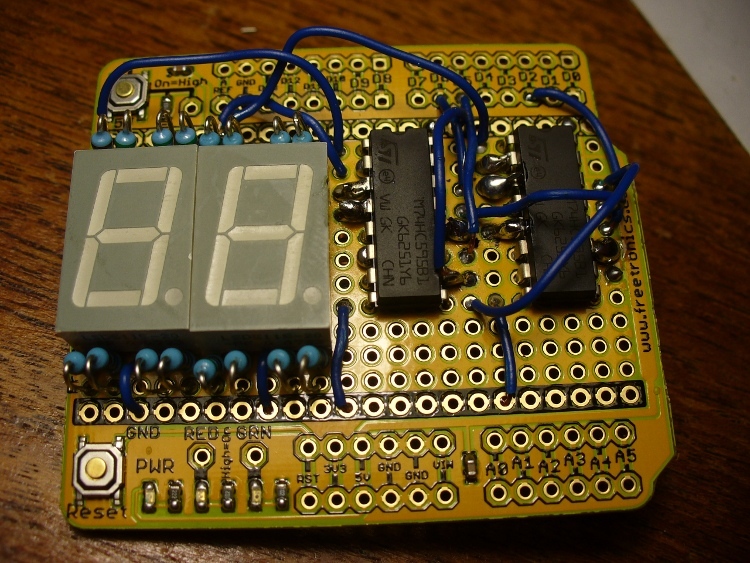 However if you have made an LCD shield use the interrupt pins, you will need to check the button status while displaying the time. We will make the display of the menu a separate function as well. 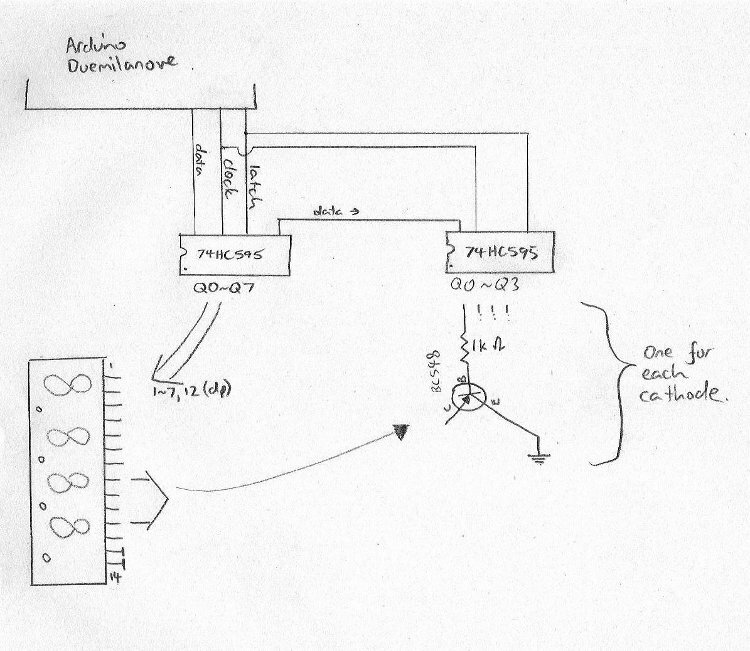 … and the resulting sketch: example 9.2.pdf. So inside the function that (for example) sets the hour, immediately before setting the hour, read the rest of the values from the clock, and reset them back in with the setDateDS1307() function. … and the sketch: example 9.3.pdf. 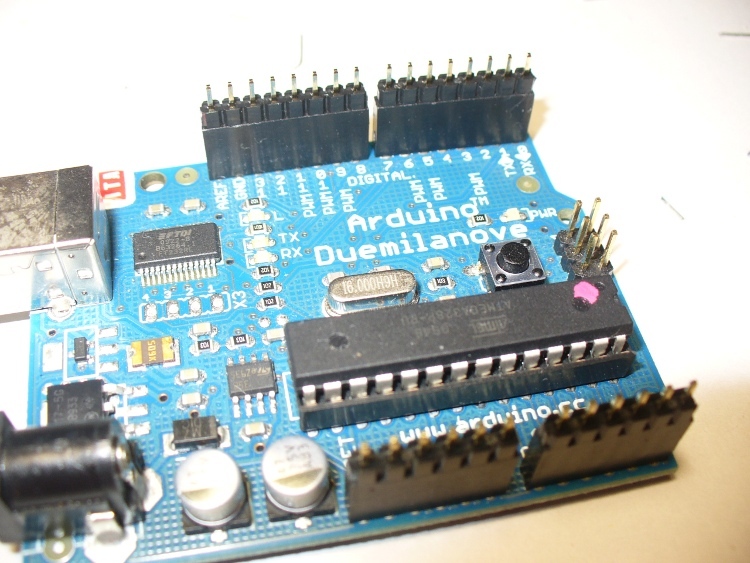 Although the contents of the LCD during the menus may be brief, the framework of the user interface has been created and can now be easily modified. 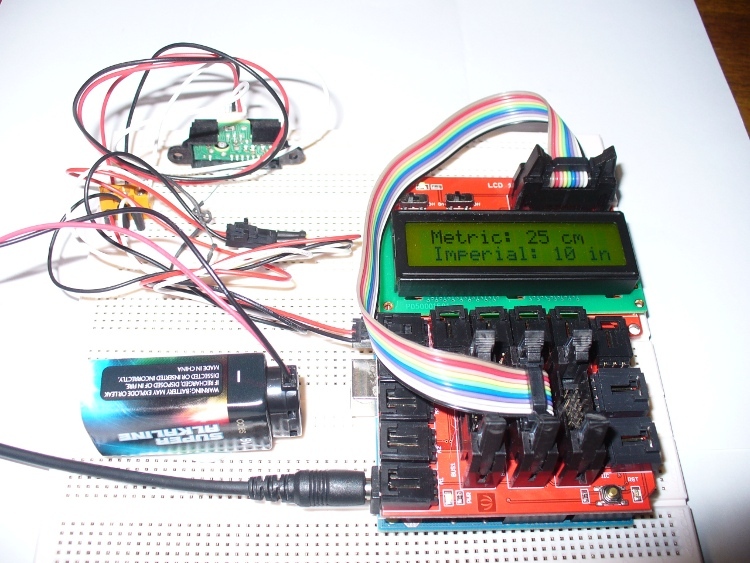 For example, if you had a 20 x 4 character LCD, you could offer more help to the user. 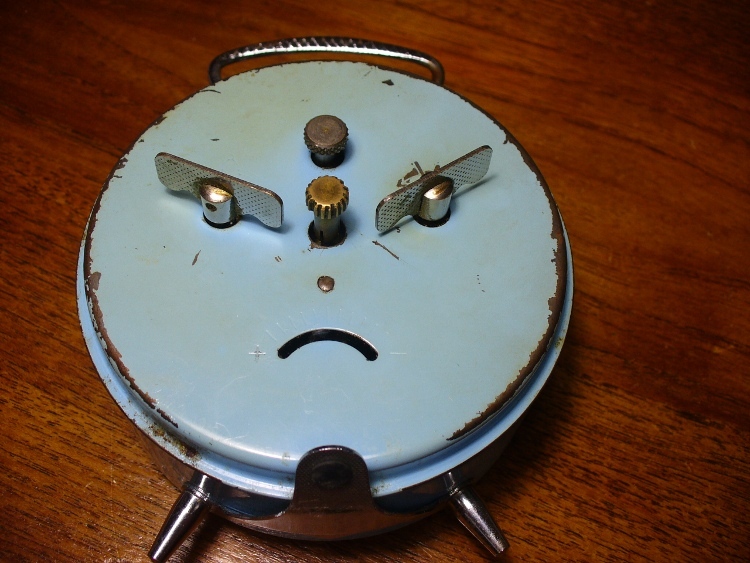 But returning to the original task – emulating Grandfather’s alarm clock. We need an alarm! 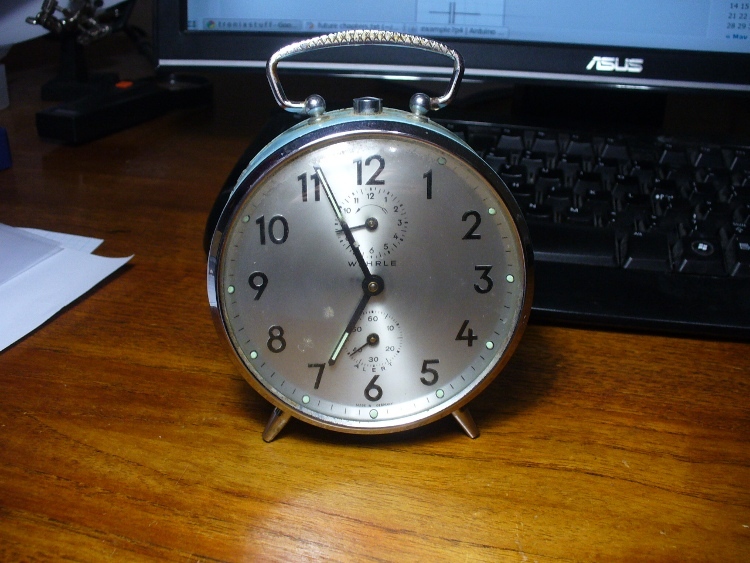 You guessed it – modify the clock in example 9.3 to have an alarm as well. User can set the alarm, and turn it on or off with the menu system. When the alarm sounds, the user should be able to turn off the alarm, Have fun! … and the sketch: exercise 9.3.pdf. 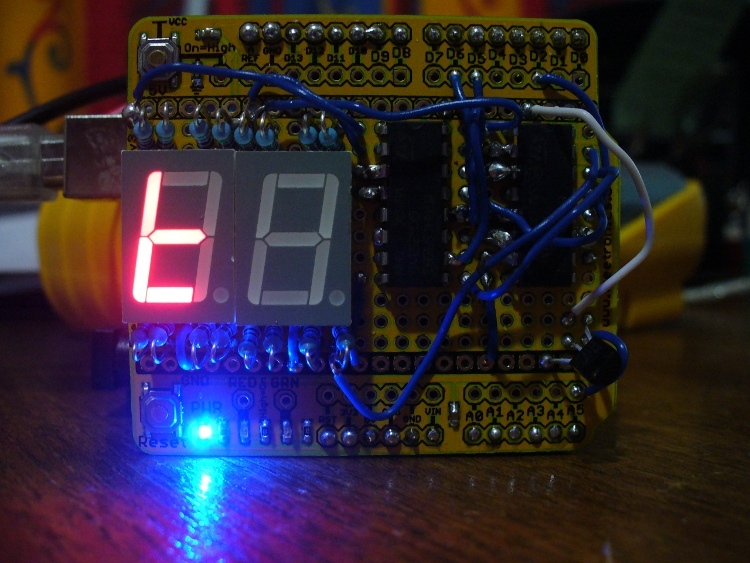 That was really fun – I have a lot more clock ideas now. I hope you enjoyed the change of pace this week and have a greater understanding on why we should create simpler human-machine interfaces wherever possible. Well that is another week over. However, as usual I’m already excited about writing the next instalment… Congratulations to all those who took part and built something useful! Please subscribe (see the top right of this page) to receive notifications of new articles. High resolution photos are available from flickr. 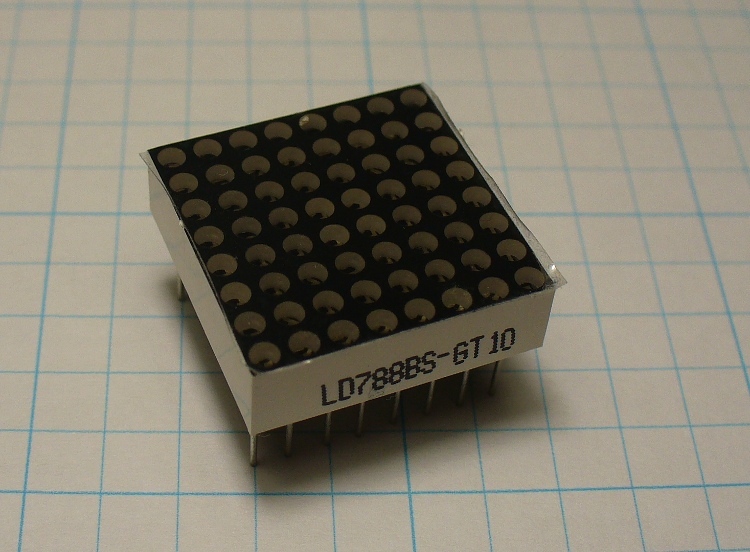 After reviewing Chapter Six of our tutorials, I felt that there was some important information missing about the section regarding driving 4-digit 7-segment LED display modules. 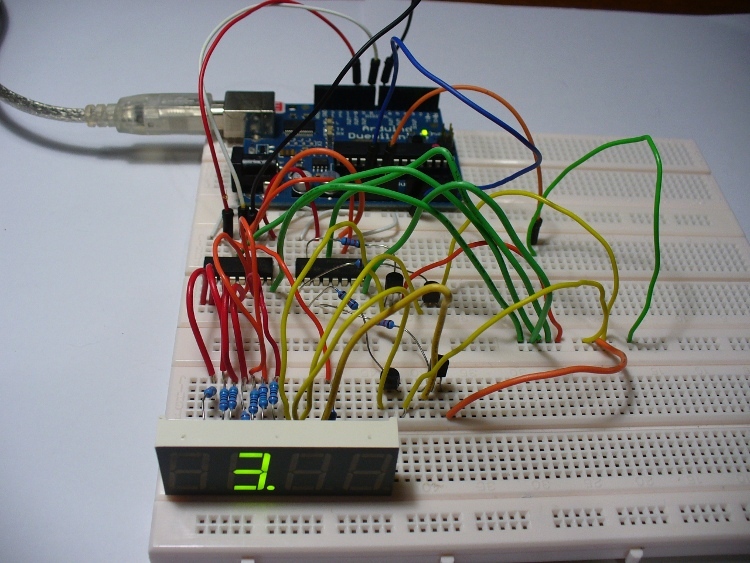 Although we have discussed displaying numbers using the module, and hopefully you have done this yourself with exercise 6.2, those numbers were constantly being written to the display as the sensor was being repeatedly read. But how do we send a number to the display – and hold it there? We need a function that can accept the number to display – and the length of time (in cycles) to hold it there. I have rewritten the function displaynumber() from the solution to exercise 6.2 – now it accepts another value, “cycles”. 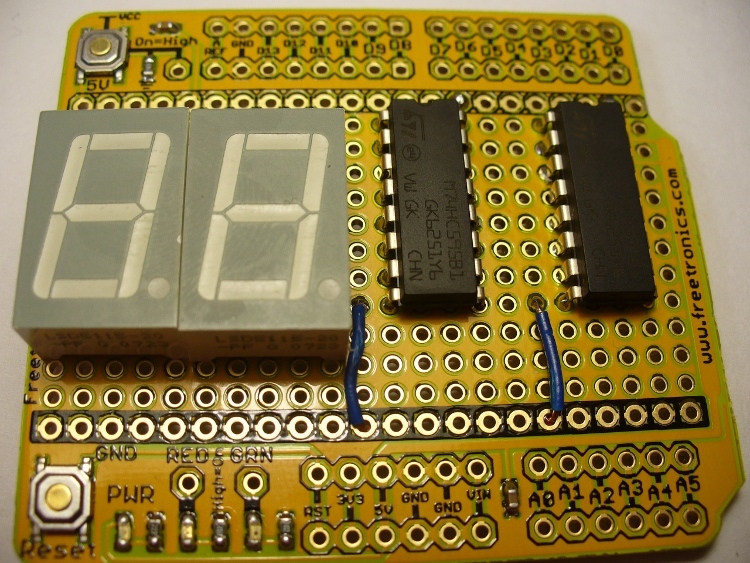 This is the number of times the number will be shown on the display. 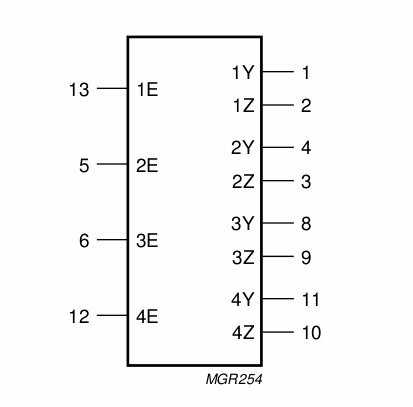 Here is a sketch to demonstrate this function, the hardware is the same as exercise 6.2, except there is no need for the variable resistor: exercise6p2addendum.pdf. And my day wouldn’t be complete without another video demonstration. This example has cycles set to 500. So there you have it! 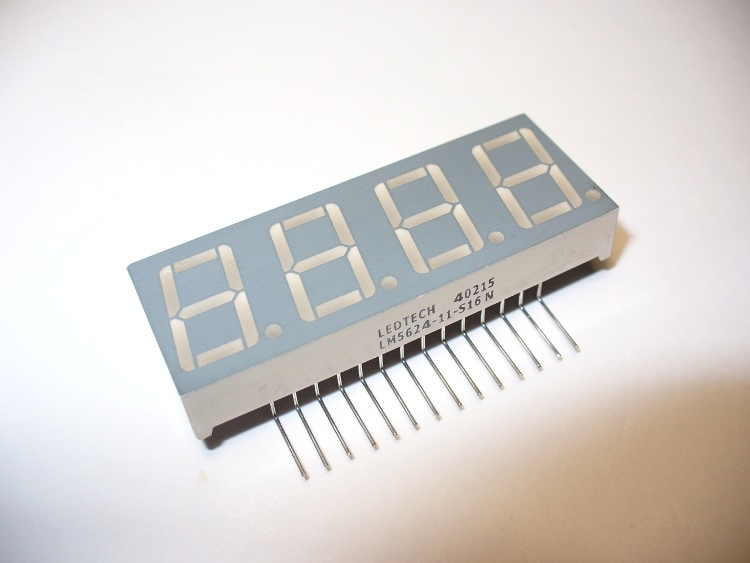 Now you have the knowledge to use these multi-digit displays effectively. And now that we have mastered them, we can move onto more interesting and useful display types. To find out, subscribe using the methods at the top right of this web page – and join our Google Group! However it is always fun to test these things out yourself. 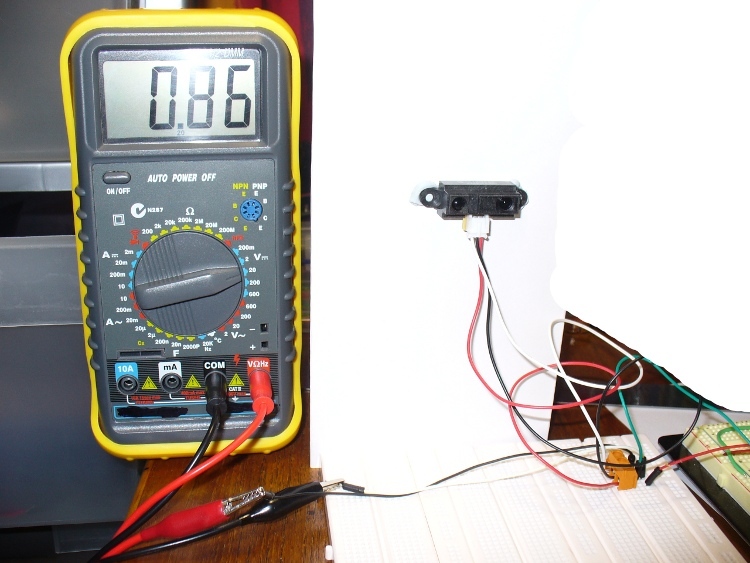 So I placed a sensor up over my desk, measured out 80cm, and attached the multimeter to the analogue output of the sensor. Finally, my sketch for the solution: Exercise 6.1.pdf. You may have to adjust the values in the decision tree for more accuracy. 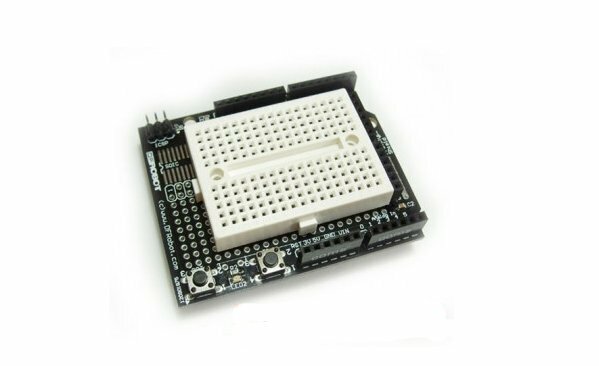 After spending some time with this sensor, I wouldn’t rely on it for exact distance calculations, however it would be very useful for general item detection, air switches and so on. 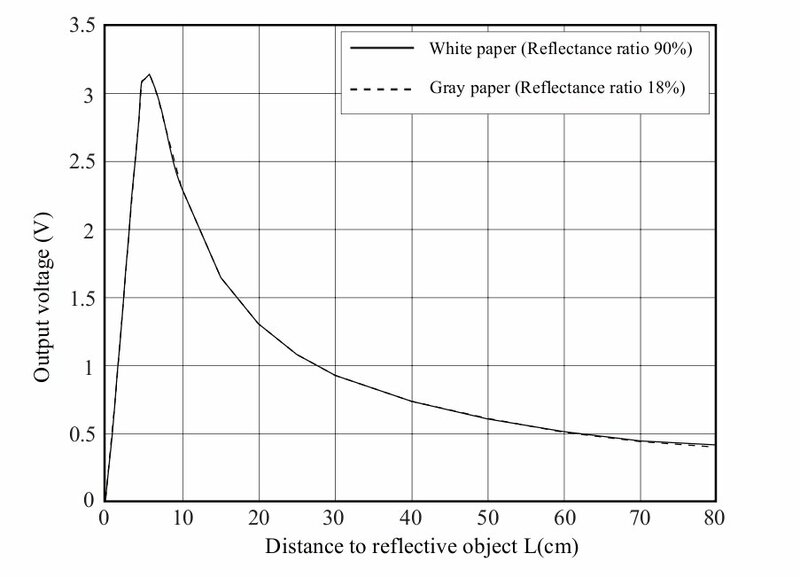 In the next week or two we will examine another type of distance sensor. As you can imagine, one is more permanent than the other. 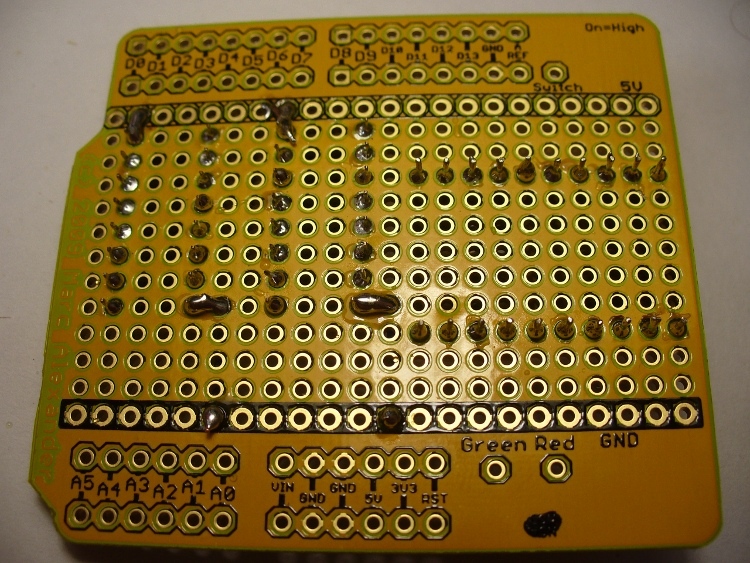 In this chapter you can follow me create my own circuit on the plain PCB protoshield. 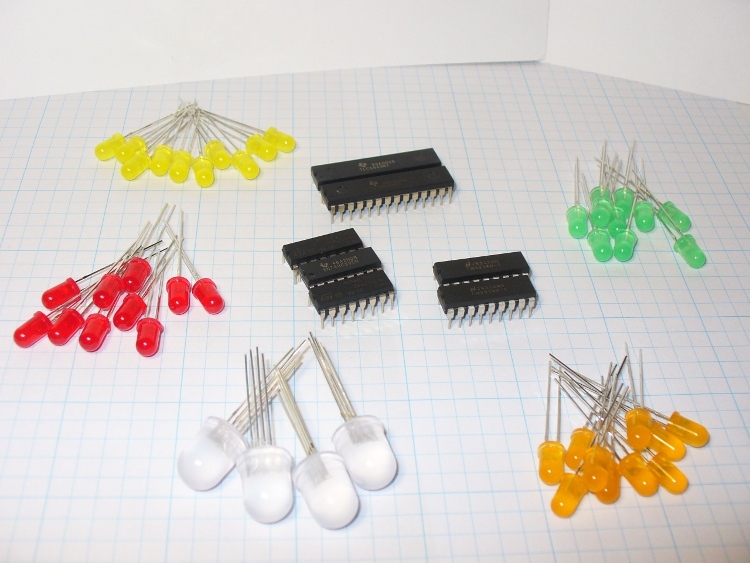 Recently I purchased a couple of blank protoshields (the yellow one above) in order to make a shield with two 7-segment LED displays and 74HC595 shift registers – as it takes a long time to wire these up on a breadboard. 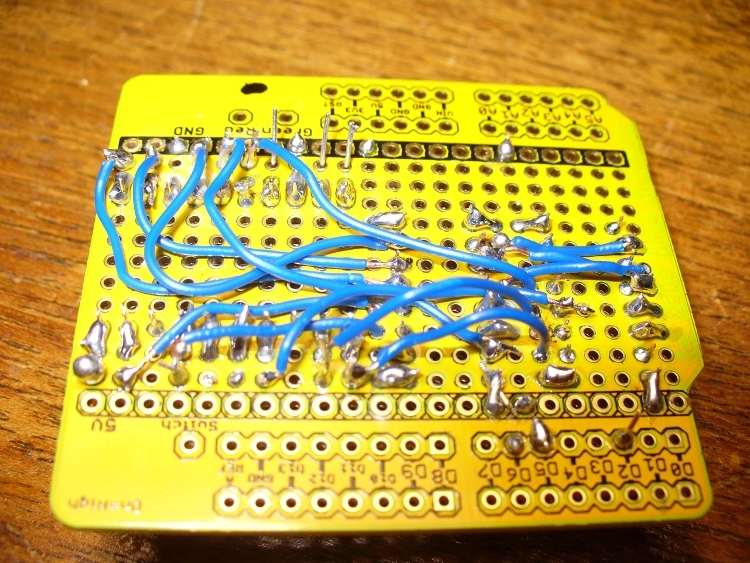 So after composing a diagram of which pins are connected to which pins, it was time to place the components and start soldering. 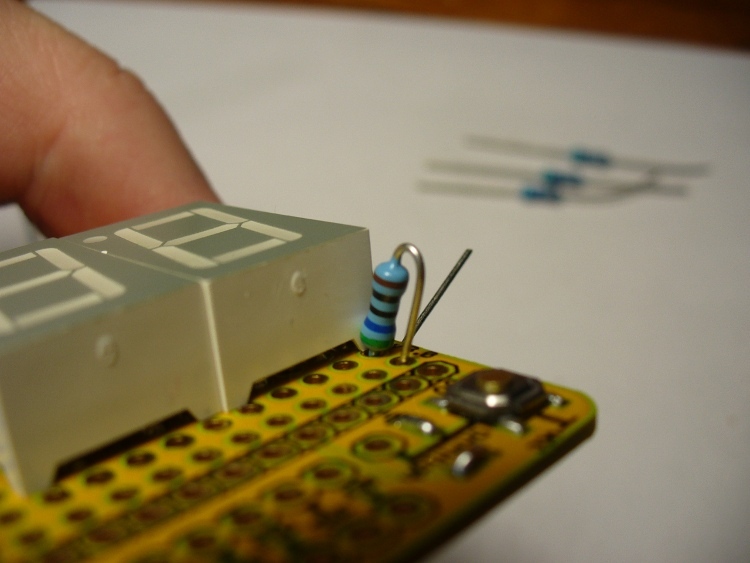 The plan was to have two wires in the one hole, a lead and a resistor tail. Very difficult for me to do neatly. However at the end it all came together… somehow! So there you have it, a quick demonstration of what to do and not do when using a blank prototyping shield. In the near future we shall make more use of these. That wasn’t too hard was it? 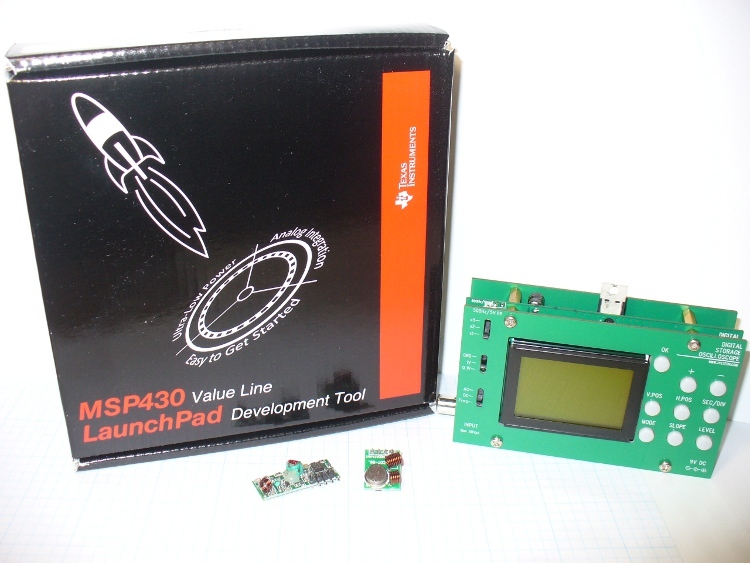 Now that you can use such a display, it will become easier to display output from your various projects. Another week over! And again, I’m already excited about writing the next instalment… Congratulations to all those who took part and built something useful! Please subscribe (see the top right of this page) to receive notifications of new articles. High resolution photos are available from flickr. You are currently browsing the archives for the 74HC595 category.